Hearts of Gold is the first in a series of eight books following the fortunes of a small community in Pontypridd, Wales. 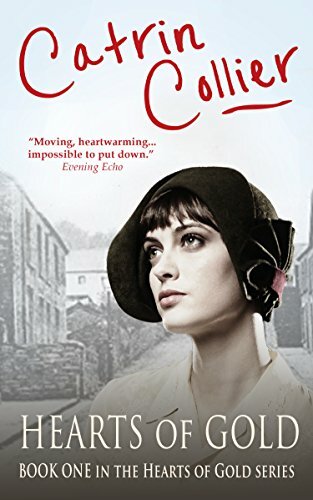 Catrin Collier has been described as "The Welsh Maeve Binchy" and these books will appeal if you enjoy a good read with engaging characters and a well developed, on-going storyline. Trainee midwife Bethan Powell lives in the shadow of the workhouse during the Depression. It's difficult to say which is harder for her and fellow nurse Laura Ronconi - their gruelling work in the hospital, or the frictions and financial hardships at home.